CreativeMinds has developed a variety of WordPress Tooltip Plugin Add-Ons and Extensions to enhance the functions of our plugin and further improve it with features that give a solution to very specific needs. All of these add-ons work with the latest version of the CM tooltip plugin as well as that of WordPress, and are constantly updated with new and useful features. Provides an easy way for your users to add and suggest new terms for your Glossary. This Add-On works for both anonymous and registered users and allows you to control which users can add new terms directly and which users may need their glossary suggestions moderated. CM Tooltip Glossary Skins add-on lets you change the tooltip plugin’s shape, color, opacity and much more. It is an easy to use add-on that works with any version of the CM Tooltip Glossary plugin, including the Free Edition. 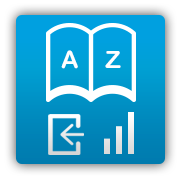 The CM Tooltip Glossary Log & Statistics add-on tracks how users interact with your CM Tooltip Glossary data. Collects statistical information that helps you check user flow and manage glossary performance. This add-on works with any edition of the CM Tooltip Glossary plugin, even with the Free edition. 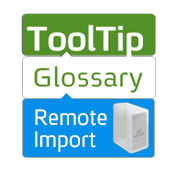 The CM Tooltip Glossary Remote Import Add-On provides an easy way to import and create an up-to-date copy of your CM Glossary across several sites/domains. CM tooltip Glossary widgets add-on is made to improve the user interaction with you site Glossary by adding 5 new customizable widgets. Each widgets has a unique way of exposing the glossary content. !